Some holidays you just never want to leave. That was the case last week when I was in the South of France. The warm sea breeze, bright sunshine, the freshest seafood and local produce including juicy ripe tomatoes, sweet and mouth-watering melons, the famous and fragrant Herbes de Provence and of course lets not forget Cotê de Provence Rosé. A delicious vacation to say the least! After visiting the Chateau Minuty Winery (http://www.chateauminuty.com) to bring back some bottles for ourselves, I decided to share the experience and have a dinner party once back in London, so we could all celebrate the flavors of South of France. 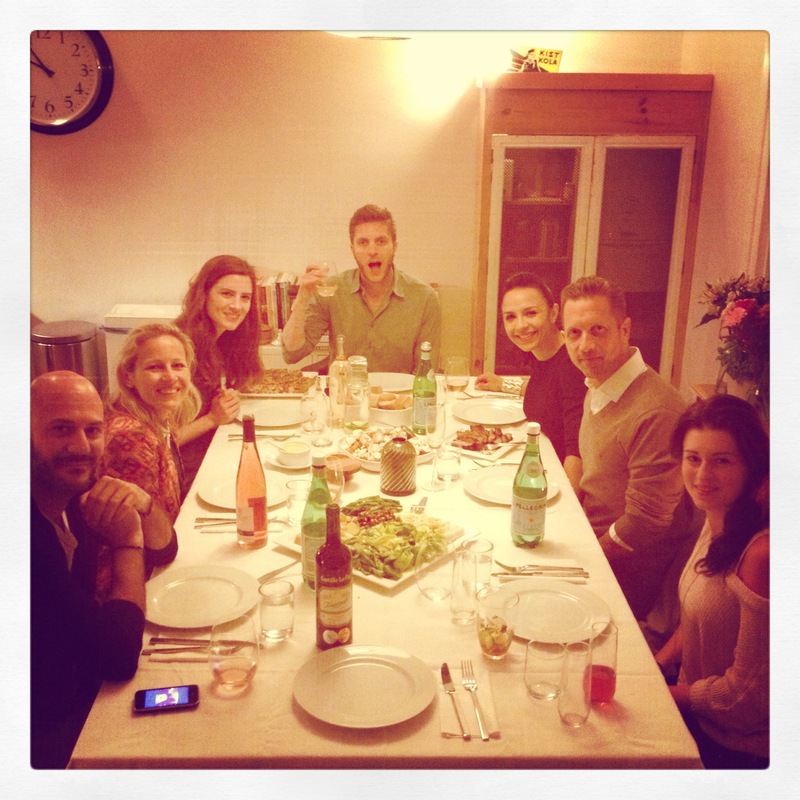 What’s great about this dinner is that it can accommodate different dietary requirements. 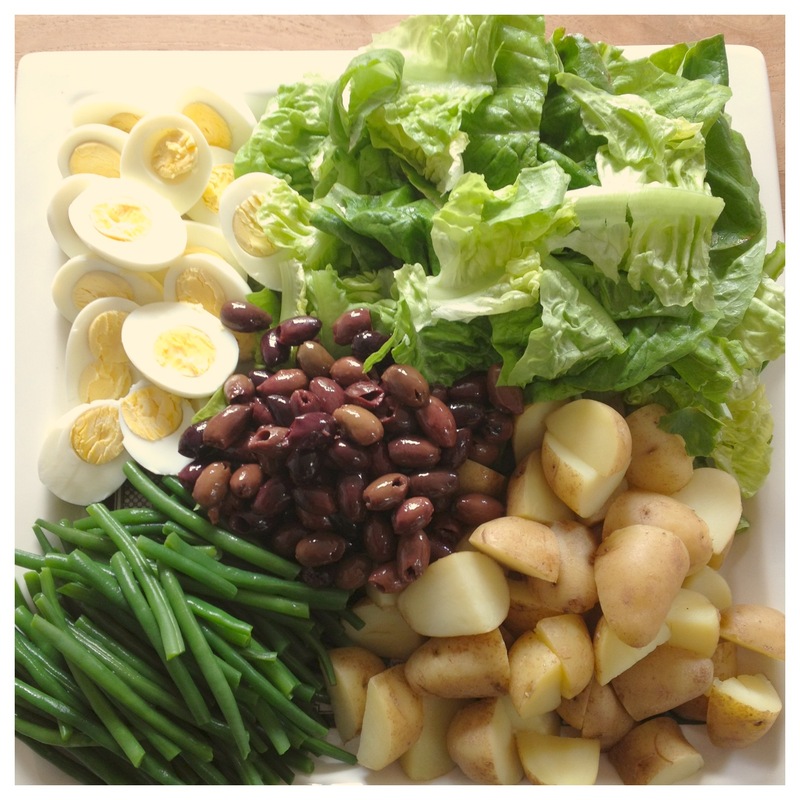 The salad portion of the Salad Nicoise is kept separate from the tuna, so those who are Vegetarian (but eat eggs) can help themselves, those who eat fish can add it later and I even made grilled organic, local Sirloin steak for the die-hard meat eaters in the house. This is very easy to make and a French classic. 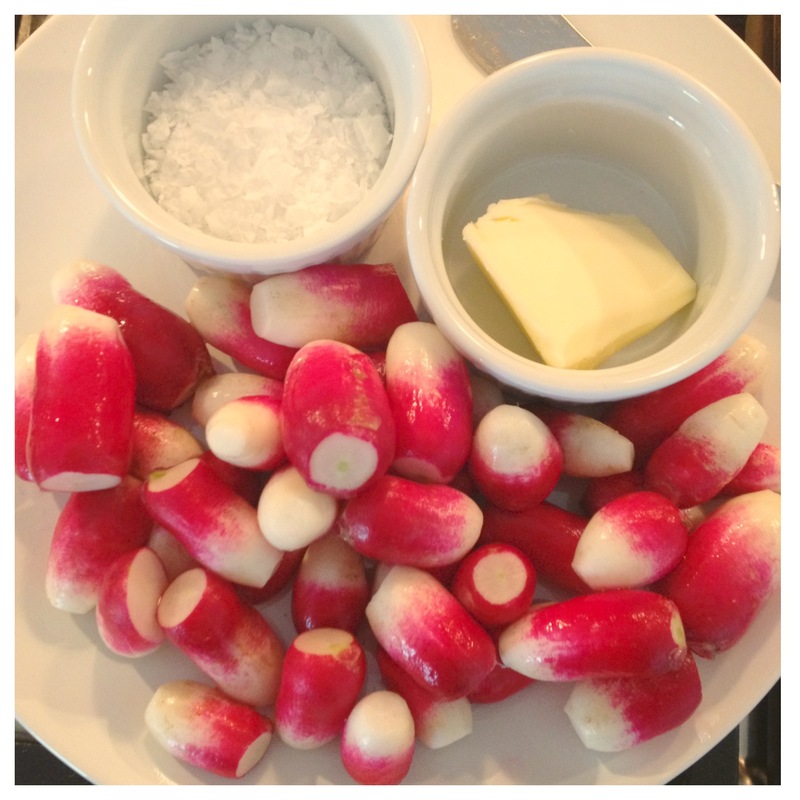 The first time these were offered to me I thought to myself “you can’t be serious, radishes with salt on a plate? Really??”. I was used to seeing radishes as a garnish and always tossed aside. But I couldn’t insult my host, so I gave them a shot. I was pleasantly surprised at how much flavor they had. Peppery, and cold with a perfect crunch. Just a hint of sea salt, making them the perfect fat-free snack. This variety is called the French Breakfast Radish and I find the flavor stronger and more distinct than the ones commonly sold in grocery stores (red, round and used for garnishing). Just chop the tops off and rinse in cold water, add some Fleur de Sel on the side, butter is traditional but not necessary and serve right away. Radishes will dry out if left to stand. Smash up the garlic clove really well. You can use a whisk for this recipe and a large bowl or you can use a hand blender or food processor. The key is to be really quick with the whisk as the olive oil needs to be drizzled in very slowly to incorporate air to create thickness. Add the garlic, egg yolk, Dijon mustard, s&p and lemon juice to the bowl and whisk together, slowly drizzle in the olive oil until you have a mayonnaise like texture. Refrigerate until ready to serve. 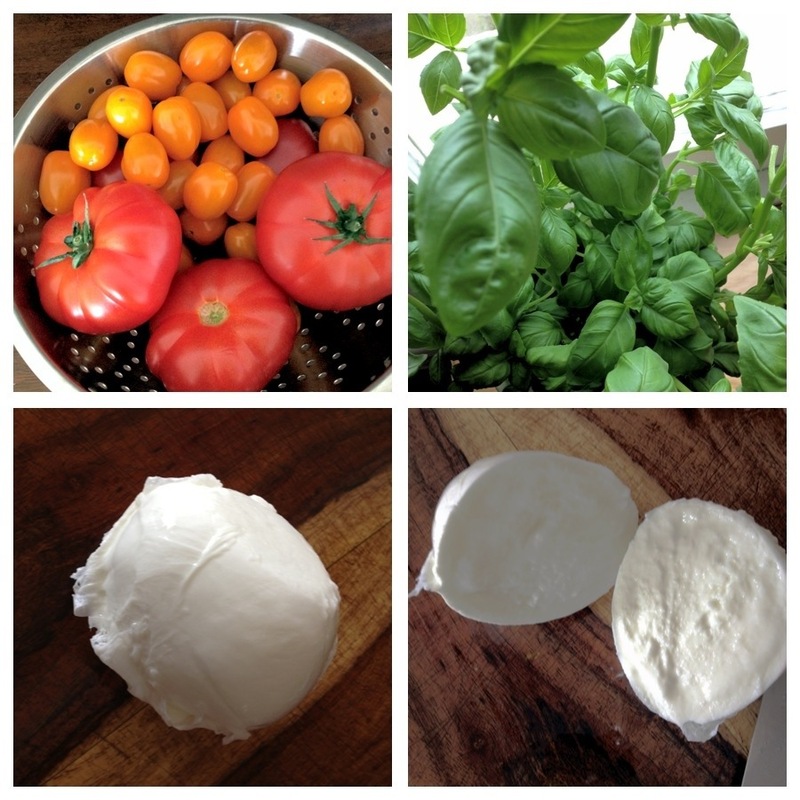 Chop the tomatoes and burrata into 2 inch pieces and place in a large dish. Chop the basil up and sprinkle on the tomatoes and burrata, add the oregano, fresh cracked pepper and herbs de Provence sea salt, olive oil and balsamic. Wash the lettuce and chop into bite size pieces (the French never cut their salad with a knife and fork! I was quickly informed of this on my first trip to Paris…ahem…). Chop the potatoes in half or quarters and boil for about 15 min. Boil the eggs for about 10 min and let cool. Boil the beans until they are just al dente, about 3 min and then plunge into an ice water bath to stop the cooking process. Peel the eggs and cut in half. 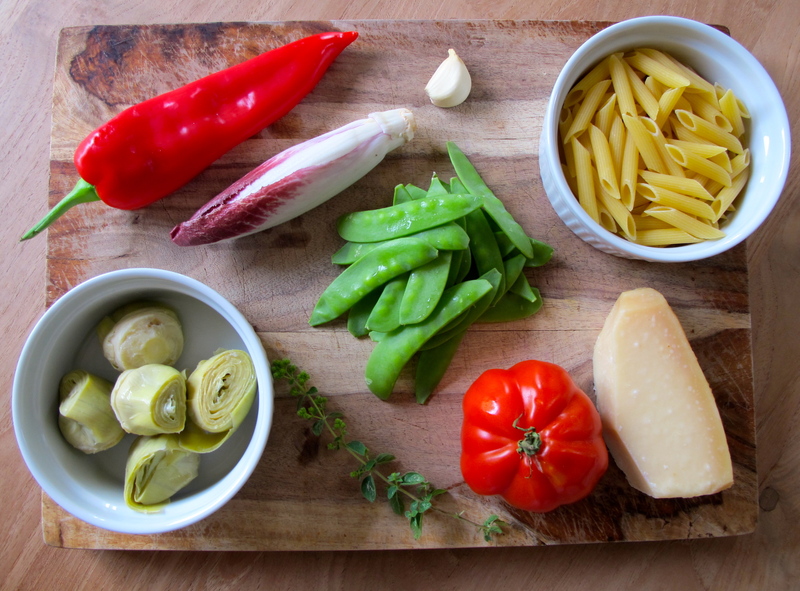 Assemble on a large plate, placing the olives in the middle. Rinse and dry the tuna steaks. Brush a little olive oil onto each side and then sprinkle with the herbs, about 1 tbsp per steak and s&p. Do both sides. 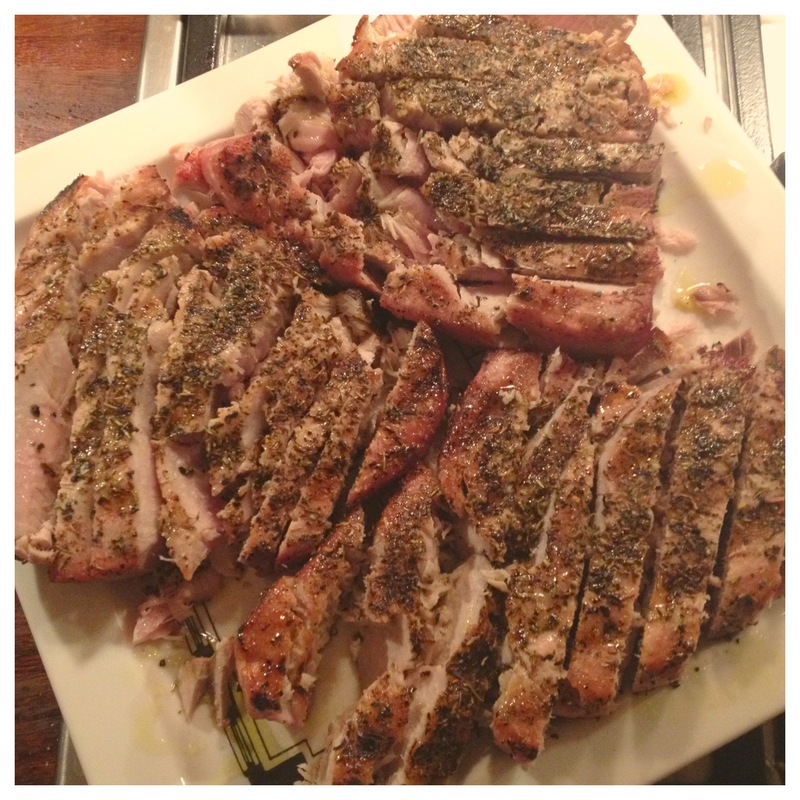 Have the BBQ on high and cook the tuna for about 2 minutes so it is medium rare. Tuna tends to dry out very quickly if it is fully cooked, so be careful not to over cook. This method will sear the outside and leave the inside pink. If you want it fully cooked go for about 4-5 min on each side. Slice lengthways and plate. Drizzle with a touch of extra virgin olive oil before serving. This entry was posted in BLOG, RECIPES, TRAVEL, Uncategorized and tagged dinner party, France, fresh, healthy, model diet, salad, tuna on June 7, 2013 by Kelly O'Dell. Sunday Lunch: Heirloom Tomatoes, Mozzarella Di Buffala and Basil. Fresh from the Farmers Market! Fresh, ripe and juicy heirloom tomatoes from the farmers market here in London. Finally! I’ve been waiting all winter for these. 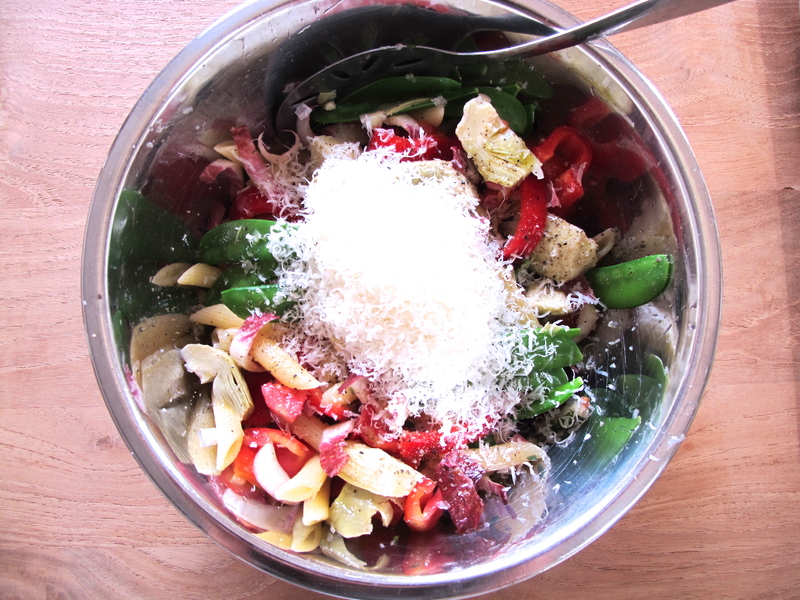 One of my favorite salads and so simple to make. 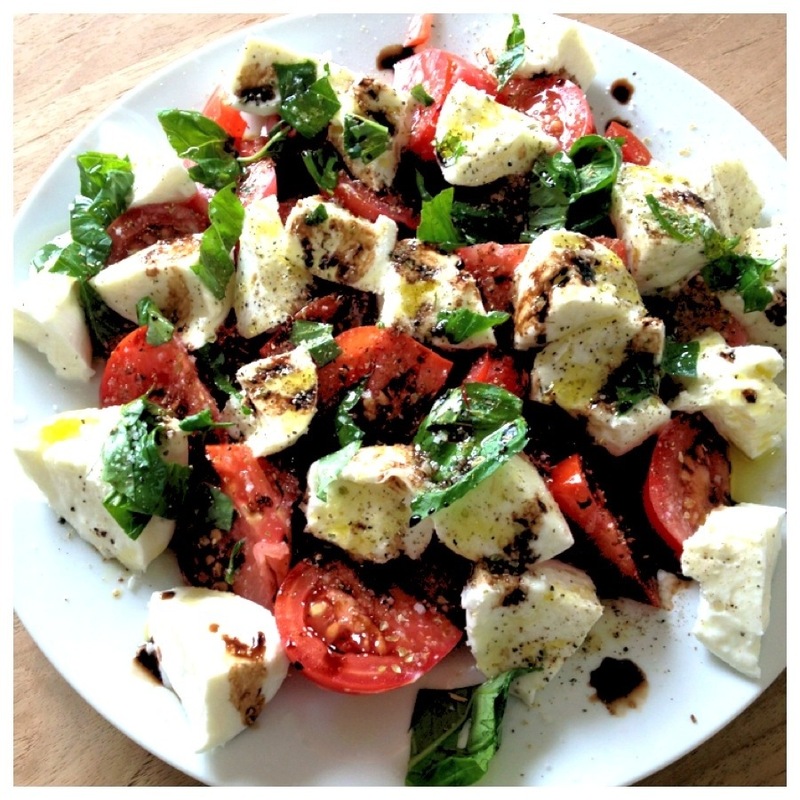 You see this salad all the time in Italian restaurants, also known as a Caprese Salad. But it’s so easy to make at home, so why not? Cut the tomatoes in half and then each half into quarters. Or you can cut into slices if you prefer. Drain the mozzarella and cut into equal size pieces as the tomatoes. 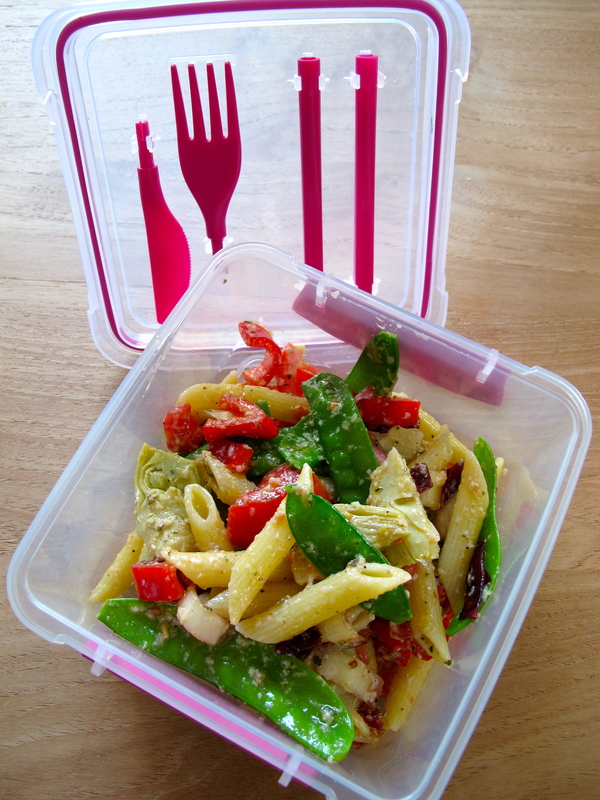 Arrange on a plate and drizzle with oil and vinegar, salt and pepper, sprinkle of oregano and chopped basil. This entry was posted in BLOG, RECIPES, Uncategorized and tagged Farmers market, local, Lunch, model diet, organic, salad, tomatoes, Vegetarian on April 28, 2013 by Kelly O'Dell. I had some zucchini in the fridge that I wanted for dinner but I didn’t feel like cooking it. So I decided to use my handy Mandolin (see pic) and make raw zucchini spaghetti in a creamy honey Dijon dressing with Arugula, fresh herbs, tomatoes, toasted pumpkin seeds and feta cheese. 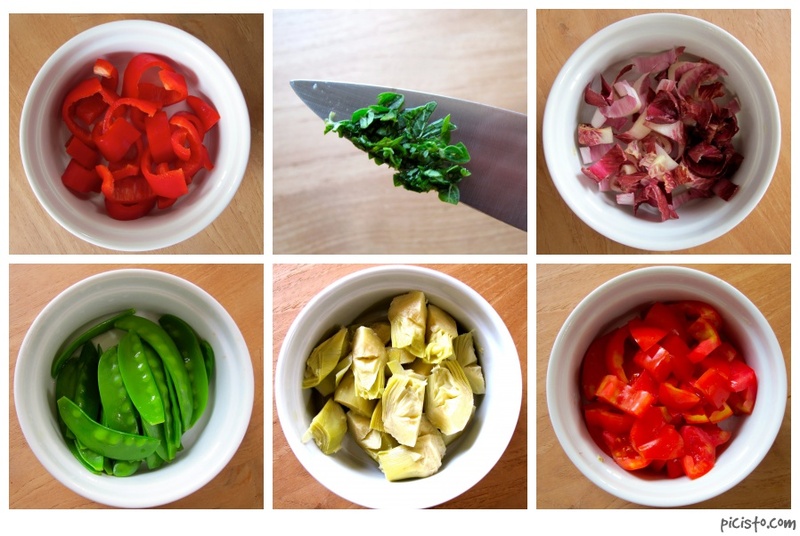 This is a great way to prepare raw vegetables as it gives them a different texture. If you don’t have a mandolin you can either julienne the zucchini (cut into match sticks) or slice the zucchini very finely by hand. 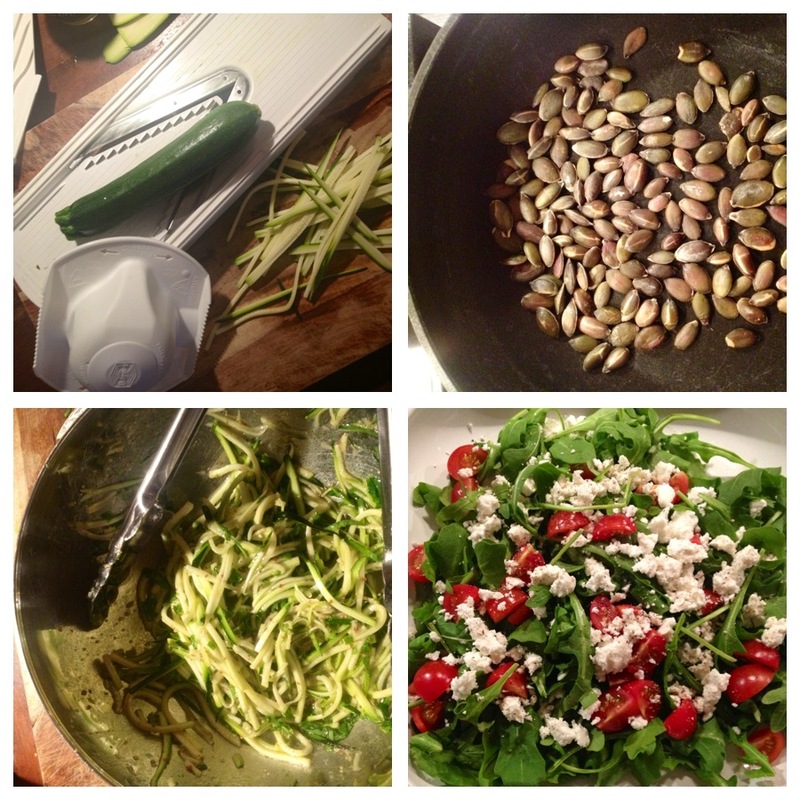 Wash the zucchini and either cut in half and slice finely or use the mandolin to make spaghetti like strips. 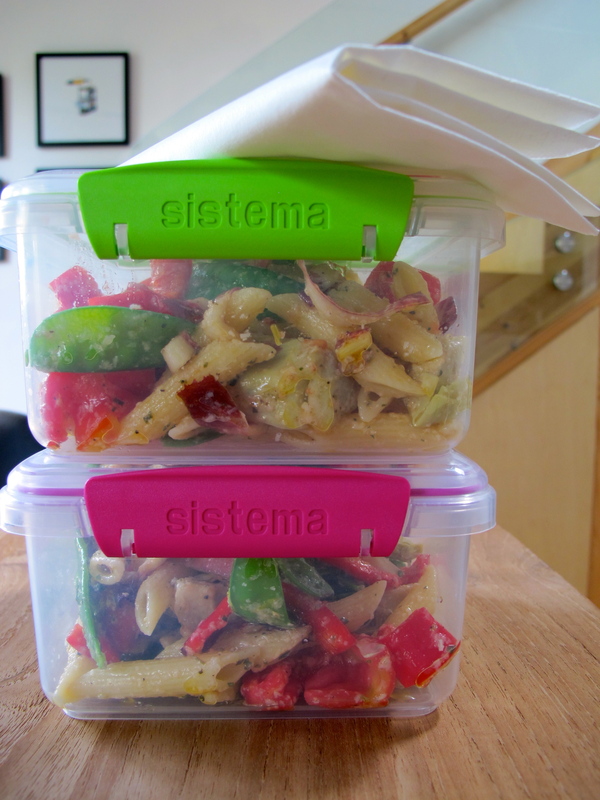 Either way, you want it be as thin as possible to soak up the dressing. 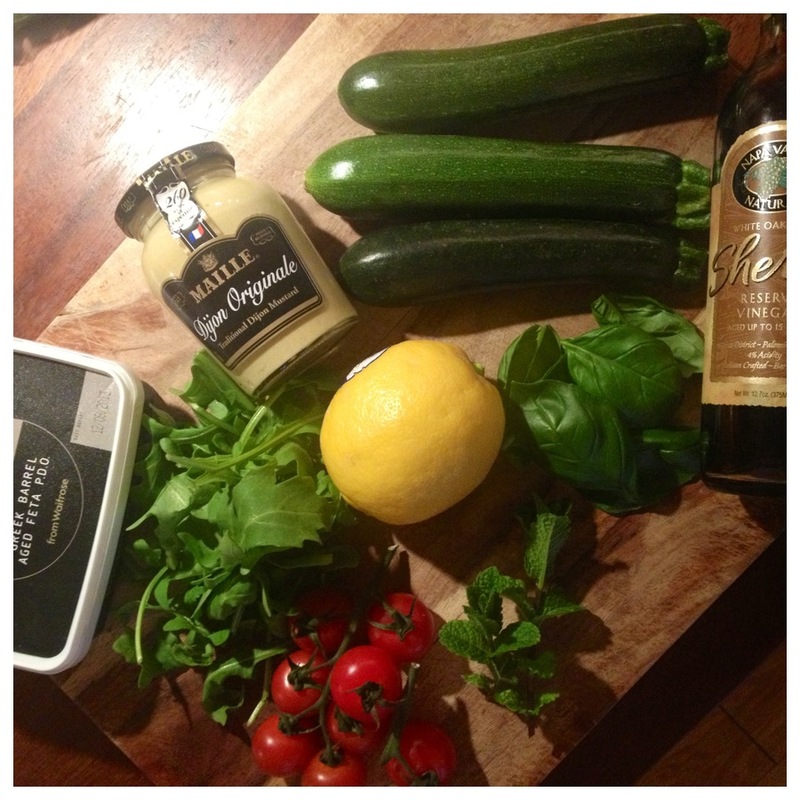 In a bowl, make the dressing: mix together the olive oil, lemon juice, sherry vinegar, Dijon mustard, honey and s&p. Toss the zucchini in the dressing and sprinkle with fresh herbs. Set aside. Wash the arugula and tomatoes and prepare on a large plate. Crumble the feta cheese over top. 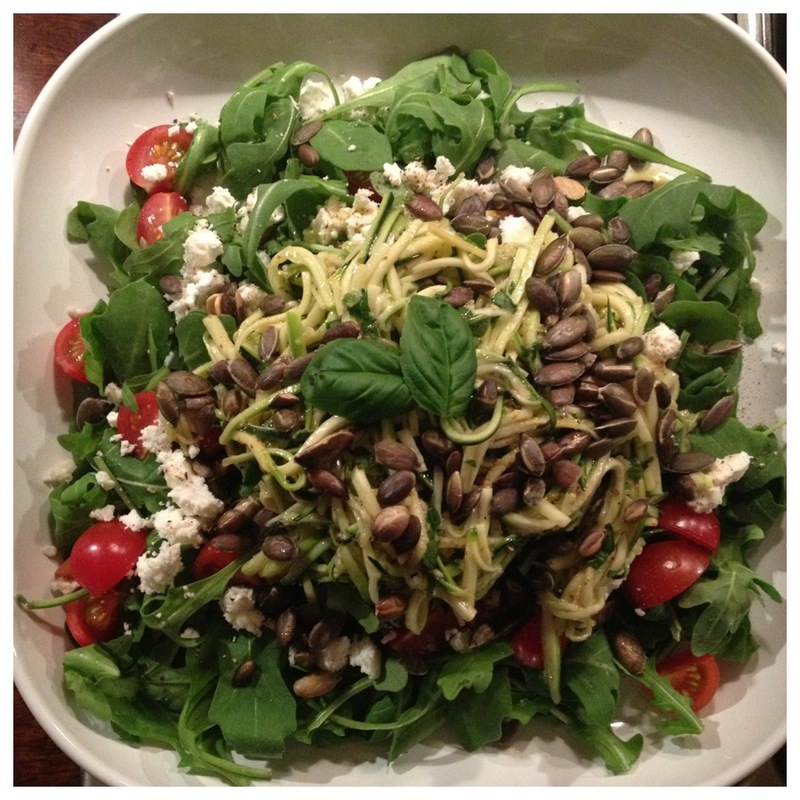 Place zucchini and dressing on top of the salad and sprinkle with the toasted pumpkin seeds and grated lemon zest. 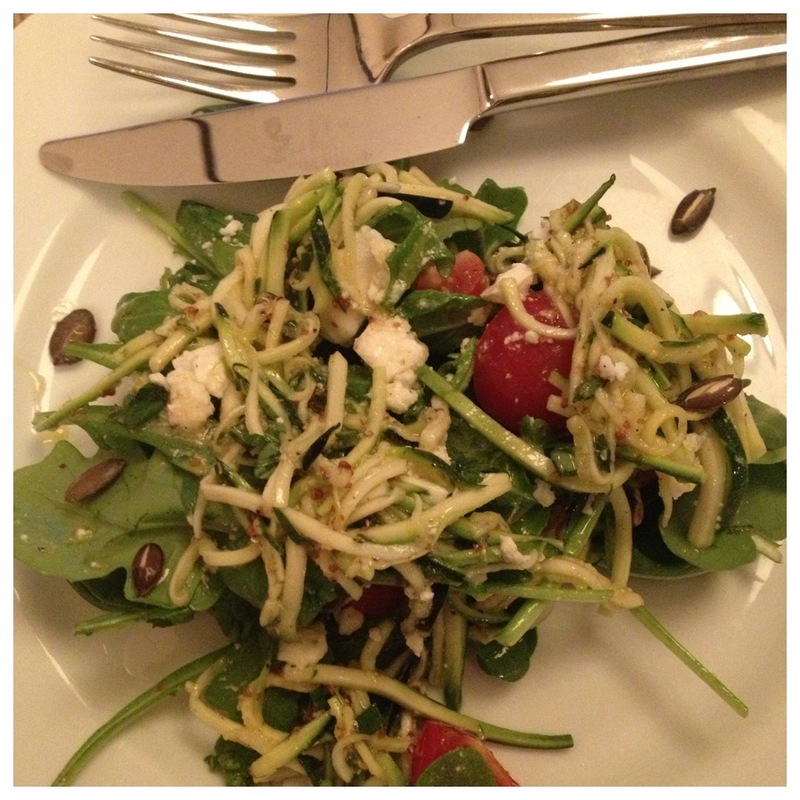 This entry was posted in BLOG, RECIPES, Uncategorized and tagged courgette, dinner, healthy, model diet, quick, salad, zucchini on April 25, 2013 by Kelly O'Dell.